Batman will fly from the building tops to check out your Batman Lanyard Necklace. 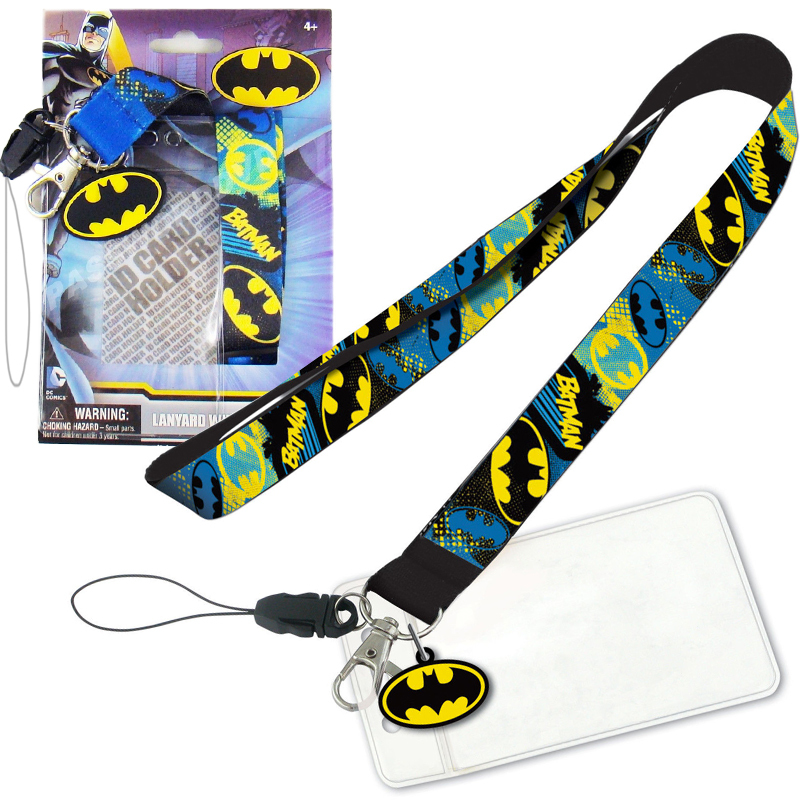 Wear it anytime you want to channel the Caped Crusader and perhaps showcase a badge or tag. Feature: - Approximately 35" (round). Comes with metal hook, cell phone strap, and cleared ID Pocket.